I recently finished reading the first Harry Potter book, Harry Potter and the Sorcerer's Stone and I would like to retract all the bad things I ever said about Harry Potter. If I offended anyone, I ask for forgiveness. A friend of mine told me that J.K. Rowling's depiction of Harry Potter was similar to Neil Gaiman's depiction of a boy wizard; hence, I won't be reading the rest of the books in the Harry Potter series. Regardless, I enjoyed reading the first book, like reading Bewitched. Hey Sol! Haven't seen you in awhile. Good to see you; hope you are doing well. A friend of mine told me that J.K. Rowling's depiction of Harry Potter was similar to Neil Gaiman's depiction of a boy wizard; hence, I won't be reading the rest of the books in the Harry Potter series. That, of course, is your choice, but - beyond the glasses - Tim Hunter and Harry Potter can be worlds apart. You'd be missing out. You shouldn't. Harry Potter is trash. I enjoyed the series myself. Read all the books during the summer of 2010. Order of the Phoenix (book 5) was particularly difficult to get through (Dolores Umbridge was a true witch) but I agree with Arachne you should really read the entire series. I am doing well. Thanks for asking. I wanted to repudiate my own stereotypes of Harry Potter. I accomplished that goal. Why do you say that? Have you read any book in the series? Years ago I saw a book in an Orthodox store connecting RocknRoll to Satanism. It was humorous enough for me that I bought the book. I think some conservative Orthodox can overreact to things. I had fun with Halloween as a child too. The more one gets into criticising the Harry Potter series from a true, deep, godly Orthodox perspective, one can see how Orthodoxy, Christianity, belief in God and His light are like a candle against a black background compared to it. In 2002, the Greek Orthodox Church authorities in Thrace released a statement denouncing the Harry Potter books as Satanic, saying that they "acquaint people with evil, wizardry, the occult and demonology." The statement also criticised the purported similarities between Harry Potter and Jesus Christ, saying, "It is beyond doubt that Harry was made to resemble a young savior. Upon his birth people try to kill him, he is forever subjected to injustice but always supernaturally manages to prevail and save others. Let us reflect, who else … is held to be the unjustly treated God?" In June 2004, soon after a native Bulgarian, Stanislav Ianevski, had been cast to portray the character Viktor Krum in the film adaptation of Harry Potter and the Goblet of Fire, the Bulgarian Orthodox Church printed a front-page article in their official newspaper, claiming that "magic is not a children's game," and that the holy Synod had advised that a church in Sofia hold special liturgies every Thursday to cure those afflicted by spells or possessed by evil spirits. Pamphlets were posted throughout the city, claiming that reciting a Harry Potter spell "is as if you are praying to evil", and that "God hates magic." Clive Leviev-Sawyer (2004). "Bulgarian church warns against the spell of Harry Potter". Ecumenica News International. Retrieved 2007-06-15.
old fairy tales were written by Christians or people in general, whereas a modern neopagan legend doesn't have much to teach Christian children. The “Sorcerer's Stone" is also called the "Philosopher's Stone", and is purely Cabbalistic in nature. Rosicrucianism as an example, teaches that an Initiate will pass through five stages to become the highest Adept possible, to be most proficient in exercising the power of Satanism. They call this process the "Five Stages In The Transmutation of the Soul.” The final stage is depicted by the Phoenix Bird; the Adept is then said to have achieved the "Sorcerer's Stone." 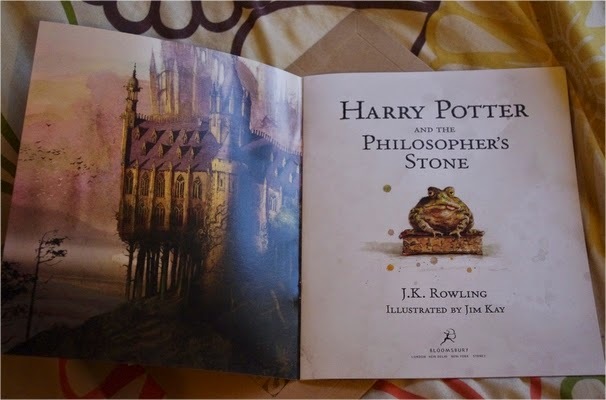 Thus, the fact that the term "Sorcerer's Stone" is the main title of the fifth book in this series, (and now a highly acclaimed movie) suggests that the ultimate goal of all students at Hogwarts is to achieve the holy Grail of the Sorcerer's Stone. "Dumbledore is particularly famous for his defeat of the dark wizard Grindlewald in 1945, for the discovery of the twelve uses of dragon's blood, and his work on alchemy with his partner, Nicolas Flamel'! Towards the end of the book, we are presented with the promotion of suicide as an honorable way of helping others. Flamel and his real wife Perenelle have killed themselves to hide the secret of the Philosopher's Stone, with Flamel being the significant age of 666 years. ... Occult encyclopedias state that legend teaches that Flamel and his wife faked their deaths and are still living. Which, would be why Rowlings showed Flamel alive and well working with Dumbledore, also a sorcerer. Character X develops similarly to character Y, so I won't read the rest... that's a non sequitur, matey. It's analogy, a basis of logic. I'm not a big fan of fiction, but in order to get my sister to read my brand of non-fiction, I am reading the Harry Potter series, and I admit, I'm enjoying them as well. I wonder which series was bigger as gateway books that turned non-readers into readers: Lord of the Rings, Narnia, or Harry Potter. Anyone know of polls or whatever that explores that kind of thing? If you make that The Hobbit, it might be a little fairer. Or maybe that what you meant. I've only just read the first Harry Potter book and part of the second. I like them. Yeah, I meant it to be included, so I should have mentioned it. I know Harry Potter has been wildly popular, but then The Hobbit and The Lion, The Witch and the Wardrobe have been both popular and also common school texts for decades now (in the U.S. at least). I've read The Hobbit/Lord of the Rings and the Harry Potter series and I preferred the Harry Potter series. Harry Potter. Kids in the '50s already read a lot, without TV and videogame distractions. What about kids in the 80s and 90s? I was a kid in the 80s, and reading for fun was already something that raised eyebrows. The big difference between Tolkien/Lewis and Rowling is that the former have been school texts (which can be a right turn-off for many kids), and the latter has been hounded out of (several) schools, at least temporarily. The movies did bring Tolkien and Lewis back into the bestseller lists, but I bet most readers, even for Narnia, were adults. Lion, Witch, Wardrobe was the first novel I ever read, followed soon by the Hobbit in 2nd grade. Absurdly the Hobbit was considered Satanic by many school teachers at the time where I lived. Oh, if I had made the comparisons between Harry Potter and Neil Gaiman's boy wizard character, that wouldn't be a non sequitur. I like to learn how to stop making non sequiturs on this forum because they're impacting my sociability inside and outside this forum. Intercede for my wretched soul, Saint Alban. Maybe....BUT HAVE YOU READ HARRY POTTER IN LATIN? I had heard for years about how incredibly evil and demonic the Harry Potter series was. I was Protestant at the time and bought into the hype. My brother-in-law would go on long tiraides related to how evil the series was (he was a youth pastor). Then I decided that I really couldn't judge something like that series as evil unless I read it myself. I read the first book while pregnant with our eldest son. I quickly made it thru the first 6 just in time for the release of the 7th. Soon after I decided that our eldest daughter should be able to read them. It was good timing because her friends were reading them too, so they could enjoy them together. I pre-judged the series unjustly based upon secondhand information, and I am glad I revisited that judgement. Is it the best fiction series I've ever read? Absolutely not. Is it a fun series to read that furthered a passion for reading in our kids? Yes. That son I was pregnant with is enjoying the new illustrated versions being released now. He reads them over and over, and I've seen an improvement in his reading because of this new found passion for reading. Reading is a skill that takes practice, and the HP is excellent practice. The illustrated editions are wonderful. I made the plunge and finally bought my own set of books last year after years of reading other peoples' and the ebooks. Decided to go with the adult-oriented UK paperbacks. They're beautiful, and don't take up about a mile of shelf space like the American hardbacks I was used to. Plus, all the weird British-isms! The 20th anniversary editions of The Philosopher's Stone, although not illustrated, are lovely as well, with the house colours and all. We resisted, because we'd end up having three copies in the house (we number two Ravenclaws, a Gryffindor and a Slytherin among us). The young one got the complete set in ebook format on his tablet for free, but I still want the adult hardbacks to display... and they cost a small fortune. I've been seriously contemplating buying a set of the illustrated books for myself. They are simply beautiful, and I think it would be fun to have on hand to read to grandchildren. I'm up to the second book. I have read fantasy genre novels as entertainment on-and-off since my teen years. Most recently I read the George RR Martin novels. I never bought into the "beware of witchcraft" warnings but I also can't say there is anything especially edifying about reading and exploring these fictional worlds with one's imagination. Even though it's before Rowling really hits her stride (the universe really concretizes and the writing actually gets good in Book 3), Chamber of Secrets alternates with Goblet of Fire as my favorite Potter book. Savor reading these for the first time! Recently, I continued reading the Harry Potter series. I read Prisoner of Azkaban first because it was available at the local library. After finishing that book, I borrowed Chamber of Secrets and finished that in 3 days. Next on the list is Goblet of Fire. Look forward to reading the series with my kids, assuming I have some, in the future. I've all the books of the series, and each a few times - last time was in February (coming back to them after a few years), when I was ill a whole week and prefered to read something I know and like. I'd say these books were important part of my late childhood and early adolescence. I don't see any problem with them provided that you treat them as a fitin, the same way like e.g Cindirella. Jesus, Wisdom of the Father, give us wisdom, to think, speak and do what is Good before you at all times. And save us from evil thoughts, words and deed, amen. Just started Goblet of Fire. My daughter was watching Goblet of Fire last night, and honestly Amos Diggory is the most sympathetic character in the entire thing. His final scene is really the most memorable thing about an otherwise terrible adaptation. Harry Potter backward is Ret Topyr Rah. Which means Great Lord Rah. Everyone reading these books has been initiated into the cult of Rah. Unless I’m lying. And I might be. A sinful servant of God. Wiccans can confirm it does not. Pretty sure the author belongs to the Church of England. Scottish Episcopal Church, but close as makes no difference. And then they stop after five minutes when they find out that brooms don't really fly and eyes-of-newt are harder to come by than they expected? Remember, kids, if your 11th birthday comes and goes without owl post from Hogwarts, you'll be squibs to the end of your days. Study didn't work for Mr Filch and won't work for you.